Freesat is a service developed between the BBC and ITV, and was launched in the summer of 2008, offering its customers the choice of over 80 subscription free TV and Radio channels through a satellite dish as opposed to a Freeview via an Aerial. An additional benefit that Freesat has over Freeview is that of High Definition TV, channels include BBC HD and ITV HD, with programme highlights including the FA Cup, the Olympics and the full Formula 1 season, all in High Definition. 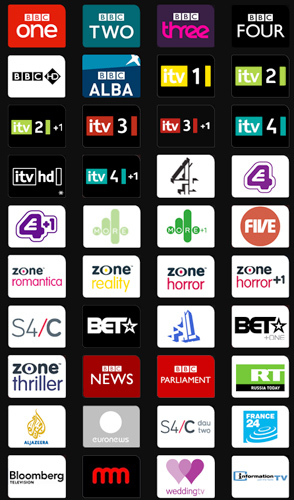 An estimated increase to around 200 free channels by 2009, will see Freesat become the alternative to Freeview, and opposed to the rival “Freesat from Sky” service the system does not require a card to access channels, thus meaning the system will remain free, forever. The future is bright for Freesat, as it has been announced that soon, you will be able to purchase a new Freesat receiver which will have full recording facilities, including the ability to record, rewind and pause live TV as you watch it, so you will never miss a thing again. All subscription free!! MP Aerials & Satellites are an approved installer for Freesat, and having our installation through us means we can personalise your system to your individual requirements.